We used a few things we had in our craft stash: festive bakers twine, styrofoam balls (2 sizes) and a bit of red & white washi tape. 1. To create this project, simply fold the washi tape over bakers twine and cut to form a cute mini bunting. 2. 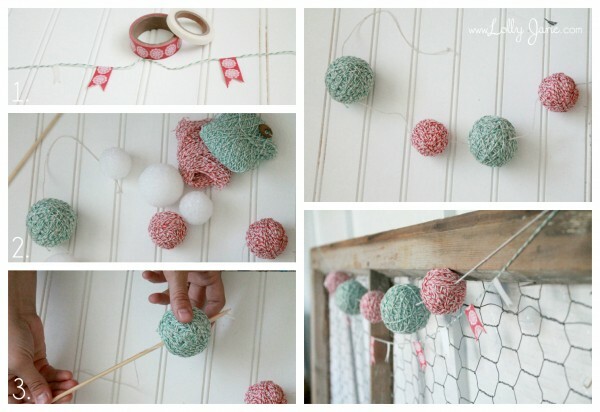 Wrap bakers twine around styrofoam balls until the styrofoam is completely hidden. 3. Tie a long piece of twine around a skewer and push through each freshly wrapped bakers twine ball, alternating in color and size, to create a garland. From there just hang the washi tape garland and enjoy! 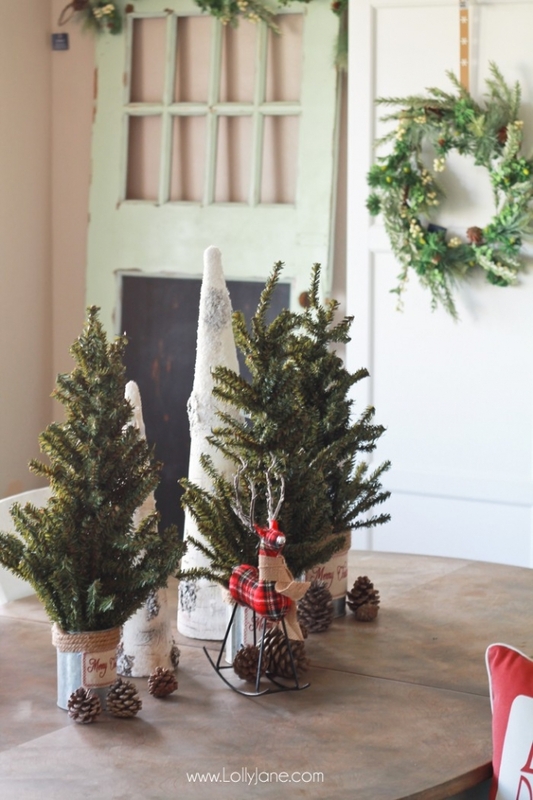 plus 13 ways to decorate with Christmas lights year round which include a cute dixie cup garland! Previous Post: « Why are so many bloggers Mormon? No Christmas tree up here yet. I give the turkey his day. But Friday is a free-for-all with all the Christmas decorations coming out! Girls, you are ah-mazing as usual!!!! Love it!!! 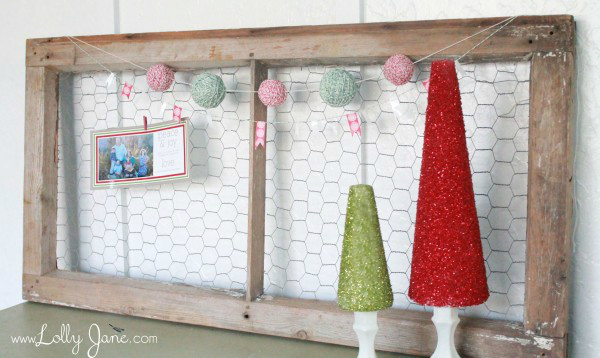 I think this is the cutest garland I have seen in a LONG time1 ow super fun and simple and cute and everything. It looks great against the chicken wire as well… You are so talented, girl! I love this. 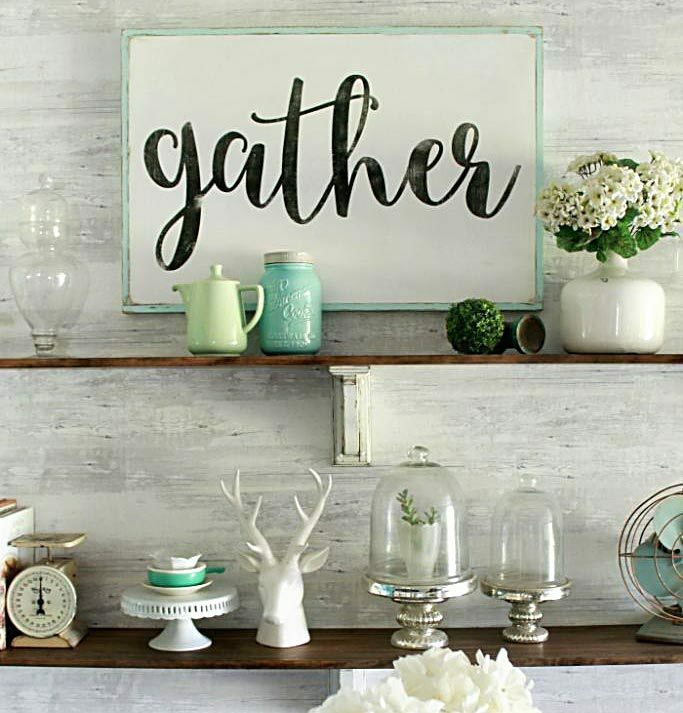 I’ve been wanting to make something similar for somewhere in my house, I haven’t decided I just love the idea. We don’t have our tree up yet – usually it’s the weekend after Thanksgiving. But I’m all tempted this year to put mine up early. We’ll see if I can get away with it. I LOVE THIS!! How adorable is the garland and all!! 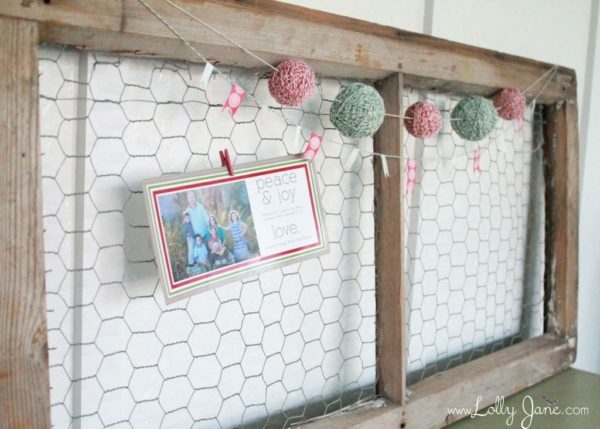 I love that its all on the chicken wire frame…now I need to go find one! I haven’t put up our tree yet because I have to wait until my daughter gets home from college the week of Thanksgiving. It will be the first time, we haven’t put our tree up at the beginning of November. I guess thats what happens when college hits…lol!! Love the Christmas card hanger!! The garland is so cute!!! I love how it looks against the chicken wire! Gorgeous!! Those trees are super cute, too! Where did you find the washi tape & twine? Love it! I saw it earlier on eighteen25 but wanted to drop a note and say how cute it is! Can’t wait to see what else you put up for the holidays…. 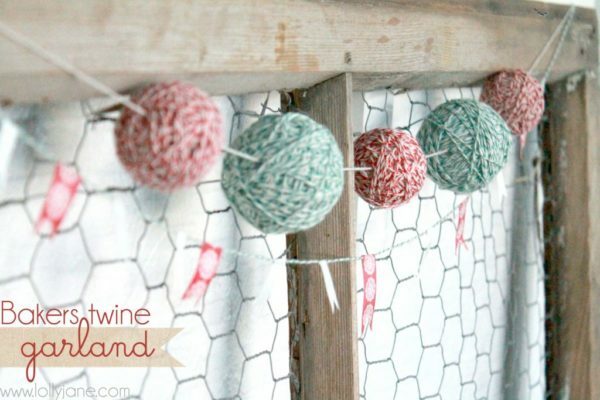 Great tutorial and I love your cute bakers twine garland. Last year I use Pinecone Garland for my Christmas decoration at my house. Maybe for this coming Christmas I will have a try on it. Adorable garland! I am in love with baker’s twine right now. What a cute idea! plus…it’s like you’re hiding in my kitchen and have seen the gigantic box of baker’s twine I’ve ordered from Pick your Plum! Haha! That made me chuckle. Use it up, girl! I LOVE this garland, SO cute!! oh, this is so super cute!!! This is so cute! I love the little garland with the styrofoam balls and bakers twine! Super cute and easy. Great job.